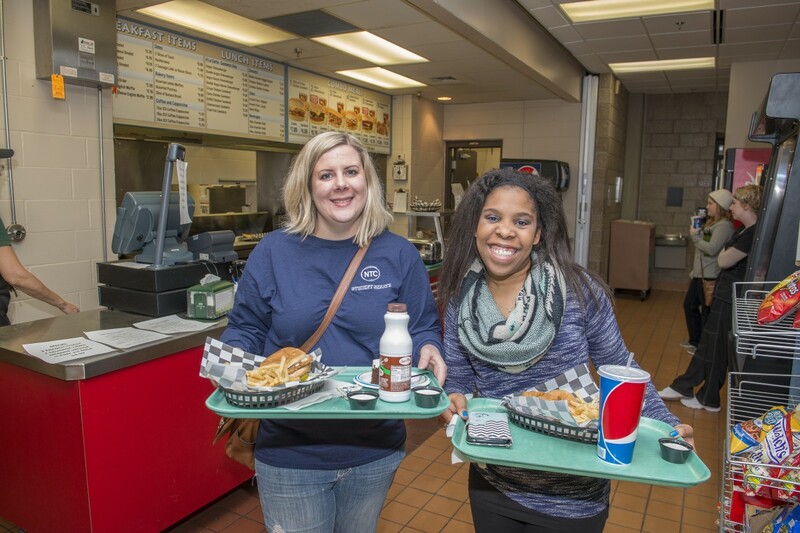 The Grant Avenue Cafe offers hot meals and snacks Monday through Thursday from 11 a.m.–1 p.m. The Grant Avenue Café in NTC’s Community Commons offers a variety of food from made fresh daily salads and sandwiches to burgers and fries. The cafe also offers daily specials featuring some of our favorite recipes. The tasty menu, energetic staff and comfortable atmosphere make for a great place to meet, greet and eat between classes. Students can purchase NTCash, a prepaid balance account linked to their student ID. The Grant Avenue Café is open Monday through Thursday from 11 a.m.–1 p.m. and is closed on Fridays. For busy students on their way to and from the college, or who need a midday getaway, a variety of restaurants, convenience stores and coffee shops are located just a few minutes away, both in the neighborhood and on Paul Bunyan Boulevard.